"WHY THE PROPOSED TRANS-TASMAN GOODS AGENCY MUST NOT PROCEED"
Please remember to include your return delivery address details. The above offer is only available for New Zealand delivery addresses, Australian subscribers will need to post us a a cheque for AU$10 for Airmail delivery, all other requests please contact us by email using our contact form on the website. 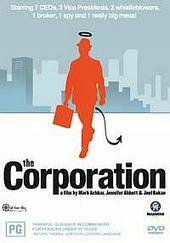 The Corporation" DVD, a film by Mark Achbar, Jennifer Abbott & Joel Bakan is recommended as an excellent way to educate yourselves about how and why corporations act and why we need to guard so strongly against their attempts to make all our inherent freedoms commodities they can profit from and ban anything they can't control. This may help you understand some of the threats to the natural health sector.